​Scientific research aims to expand our knowledge and contribute to a specific field by explaining observed phenomena or developing/improving applications to deliver tangible results and positively impact the lives of human beings. 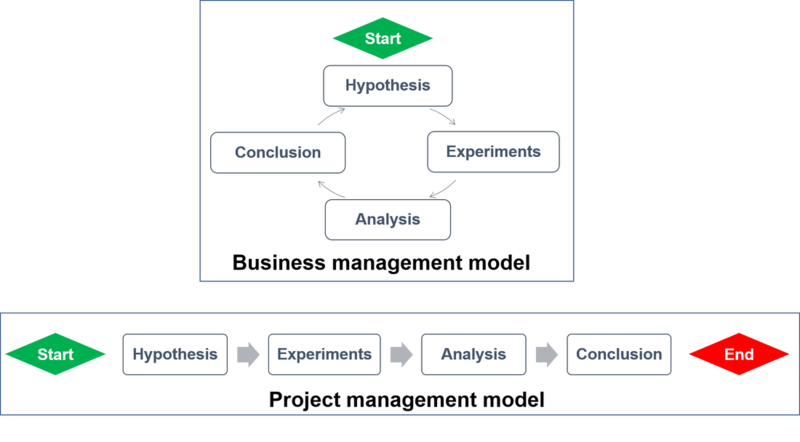 The process of conducting scientific research typically starts with a hypothesis to be validated or a specific well-defined question to be answered. Then, effort and resources are utilized to that end, through a series of data collection, which are then analysed into information and finally generated into conclusions in a report which typically takes the form of a conference presentation, research article, patent or a dissertation. Such a process requires the application of a set of skills, techniques and subject matter knowledge, that are essential for the effective research process. In addition to these technical requirements, other requirements are generally accepted as metrics for success such as time and resources management. A scientific research project is very similar to any other project such as constructing a bridge, programming a software or designing an aircraft, in the sense that it involves all of the processes included in a project management practice. However, personnel involved in scientific research are rarely aware of the project management processes they are running, and their minds are mostly focused on the scientific results, facts and outcomes of their experiments. In contrast, other projects which are typical of business-oriented in nature puts a huge focus on project management processes such as time management, cost analysis, quality assurance and resources allocation. In parallel, the hiring processes of graduate students, postdocs mostly focus on the scientific outcomes or achievements, such as a number of publications, supervised students, expertise in a certain methodology and so on. I would like to stress here that such metrics are indirectly linked to the soft skills of the personnel and their ability to run projects. In business-oriented companies, the focus is typically put on the soft skills, and on the candidates understanding of various phases of projects and the processes of running them. Scientists typically get overwhelmed with the need of preparing new samples, run experiments and explain the outcomes, which makes them blind to the fundamentals of project management that would otherwise make the process of running their research projects more effective and efficient. This is especially the case for young researchers, for whom such a process can be overwhelming and stressful especially for students and postdoctoral researcher who are typically faced with constraints such as time, resources, quality requirements, and risk of experiments not working out in the optimal or desired direction. For example, several universities impose a time frame for PhD students to graduate or for postdocs who are typically hired on a time limited contract, in addition to the fact that resources available in the lab may be constrained by the available funding. Moreover, principal investigators may have certain expectations of the quality of results obtained such as aiming for high impact journals. Under these conditions, the research process becomes a routine of collecting data, analysis and preparing presentations so that they get into the perspective that they are running a looped operation in which the objective is to maintain good academic standing. Such a perspective is generally identified in organizations as business management which aims towards keeping things running and sustainable and meet the requirements of stakeholders. While business management implies a looped process, project management is not. A project is defined as a linear process of a temporary character, that has a well-defined start and end dates, in which a result, service or report is achieved. A projections of these two models in to the scientific research process is illustrated in Figure 1. Projecting this knowledge, techniques and standards into our field as scientists, can greatly improve the way research is conducted yielding a more effective and efficient process. Such projection will be presented in this series with key skills and techniques that could be smoothly applied to a scientist’s daily practice. I will be stressing that every researcher (graduate students, postdoc or PI) is a project manager, and being aware of the project management skills is essential for success in the world of academia.